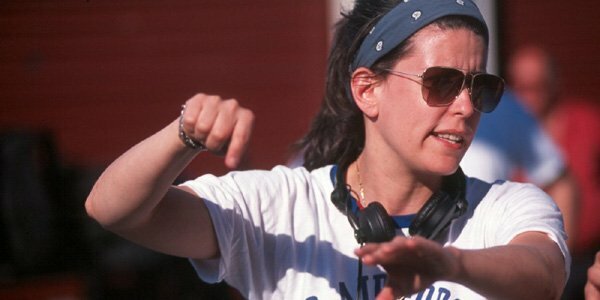 In a strange way, the biggest star to come out of the success of Wonder Woman has been its director Patty Jenkins, and now Warner Bros is rewarding her with a writing/directing on the sequel for the film. However, this decision did not appear to be an easy one. In most other franchise vehicles, when there is a smash-hit along the lines of Wonder Woman, the sequel and the returning director would typically be announced after a box office smashing weekend. Jenkins did not really get that kind of a reception. Instead, Wonder Woman chugged along all summer gaining more and more notoriety not just because it was about the hero, but also because people loved the way the movie was shot and acted. Wonder Woman has already been released on home video but is also still racking up millions in the theaters. So, it was a bit confusing that WB took three months after its release to announce that Jenkins would come back. At one time, Jenkins was the ‘next big thing’ after directing Charlize Theron to an Oscar in Monster in 2003, but then the offers dried up. Jenkins worked in popular TV on shows like Arrested Development and Entourage. She was attached to direct Thor: The Dark World, but ultimately left due to ‘creative differences‘, and may have been better for it. In Wonder Woman, Jenkins found her muse as she positioned the film as an introduction for a character who should have had a similar acclaim to Christopher Reeve’s version of Superman in the ’70s. Jenkins openly credits her love of Richard Donner’s film from her youth with the inspiration for her approach. What Jenkins has done is make fans of superhero films out of generations of women who have been left out of the origin story game. We’ve seen multiple versions of origin stories for Batman, Superman, and Spider-Man for almost 40 years. Wonder Woman was the first time a little girl, or a grown woman, could look on the screen and see herself in the young Diana who wanted to fight and explore her powers. Oscar-winner Rachel Weisz expressed her very honest and excited sentiment about the film during press at TIFF. She too was affected by the enjoyment of seeing Jenkins’ vision of a female superhero on film for the first time as were so many others. Jenkins is set to receive a significant pay raise (from $1M to $8-9M) for the sequel but is still behind some of the numbers male directors are getting for non-franchise action films. Wonder Woman 2 is currently slated for release on December 13, 2019, but will have to face off with Star Wars: Episode IX a week later, so stay tuned as the two behemoth projects play chicken.